The Butler Advanced Tactical (BAT) system is a military troop main parachute canopy that uses the same slider technology as our line of HX-series canopies. 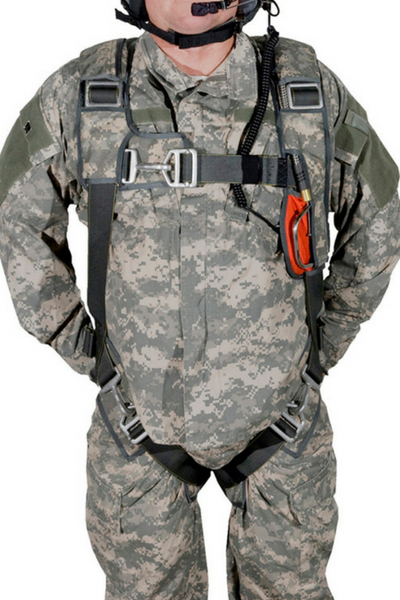 The BAT system is designed for mass paratrooper deployments and is sized to hold 600 pounds maximum gross weight. 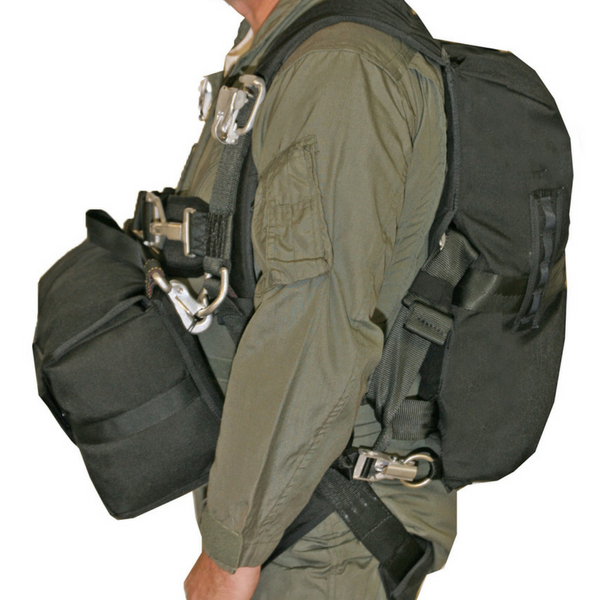 Direct replacement for the MC1-1b and MC1-1c steerable troop main parachute canopy. Dependent on size – approximately 16 to 22 lbs. 60 to 130 KIAS (nominal), 170 KTAS max recommended for this version. Other variants are available for higher speeds if required. Standard US Army T10 deployment bag. 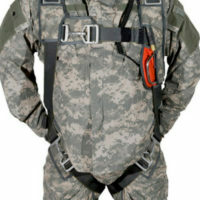 Optional pilot chute deployment for installation in other harness/container systems. BAT Sombrero Slider™ The BAT Sombrero Slider is a speed sensitive, self-modulating, inflation control device that provides consistent, reliable openings without the need for an anti-inversion net. Approximately 6 seconds for 360 degree turn. Minimal oscillations under all conditions. 7 gore “TU” with adequate vent area for excellent stability at all gross weights from 150 to 600 lb. Standard toggles on the inside of rear risers. Extended Skirt Tri-Conical. This proprietary design has a very high drag coefficient and excellent stability. 28 gores; Bias construction; MIL-C-44378, T1 cloth; MIL-T-5038 reinforcing tapes. Canopy color per customer specifications. Less than 8 g’s at nominal conditions. Please see the graph of H-X 1075T opening loads below. Special variants are available for higher and lower speeds. 500 lb. Braided Dacron; heat set and pre-stretched. Lines are looped on for ease of maintenance. Standard male Capewell lug; MIL-W-4088, Type 13 (7,000 lb tensile). Contact us to learn more about our tactical parachutes!